According to users, the Perfect Image Salicylic Acid 20% Gel Peel is a very good peel for those beginners who want to control acne breakouts, get deep exfoliation and deal with fine lines and wrinkles as well as discoloration. For some people, the 20 percent peel causes some tingling, stinging, burning and peeling which most of the times subsides quickly after a few uses and once the skin gets used to the peel. This 20% salicylic acid peel is good for those people who don’t want to risk starting with a 30% peel or they feel that their skin is not so sensitive to start with a 10% salicylic which won’t be as effective as a higher percentage. Salicylic Acid is a BHA acid. It derives from the poplar tree bark but can also be produced synthetically. It is a derivative of the well known aspirin. Salicylic acid has an excellent keratolytic, comedolytic and anti inflammatory function. 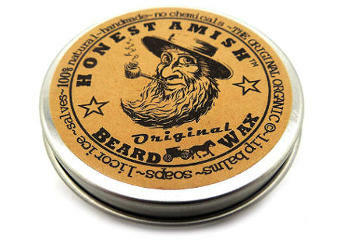 Therefore, it has great benefits for oily or acne prone types of skin. Also, salicylic acid, like all BHA acids, is able to penetrate deeper into the skin and therefore unclog the pores and make skin clearer. 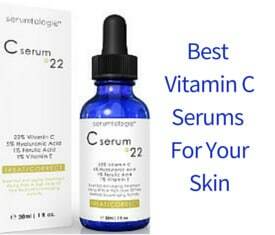 It reduces dark spots, controls oiliness, improves cell turnover and increases the production of collagen. This is why salicylic acid is also used as a treatment for signs of aging like fine lines, wrinkles, dry, dull skin and even lack of firmness in some cases. Just a word of warning! Apart from some type of mild irritation, redness and a burning sensation that Salicylic Acid can cause, depending on its percentage, this acid can also cause photosensitivity. So, it is always important to use a sunscreen whenever you have used a product containing this type of acid. Salicylic Acid chemical peels are used to remove dead skin cells, help to reduce acne breakouts, and even skin tone. These peels can be expensive when done by your dermatologist, so many people choose to do these chemical peels at home. Each bottle contains 15-20 chemical peels. Enhanced with green tea extract and tea tree oil. 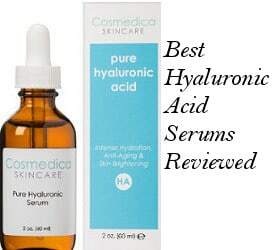 Good for acne breakouts, oily skin, whiteheads, blackheads, enlarged pores, hyperpigmentation, sun spots and signs of aging. Created in an FDA registered facility. Free of sulfates, parabens and phthalates. Chemical peels are nothing to play around with. When using this peel, you need to take a great deal of care. It is recommended that you exfoliate your skin well the day before using it, and make sure your face is cleaned well prior to putting it on. You then spread the peel on lightly and leave it on for the amount of time you set. This can range from some seconds to few minutes, for the first time, depending on how your skin reacts to the peel. Rinse your face several times in cold water making sure you remove all of the peel. If you still experience negative side effects like burning, place a cold rag over your face for a few minutes and follow by applying a good moisturizer. After using the peel, avoid applying make-up for several hours and stay out of the sun. In general, keep in mind that chemical peels aren’t for everyone. Some people’s skin can tolerate those peels quite well while others find them impossible to tolerate. We would suggest that anyone using those products should first try them on a small patch before applying it on their entire face. Evens Skin Tone– Several users noted that this salicylic acid gel peel actually helped to even out their skin tone making their face looking smoother and healthier. Cleans Pores– Most people find that it helps to clean out all the oil and dead skin cells from their pores, leaving their face looking fresher and cleaner. Reduces Acne Breakouts– It reduces acne breakouts and other blemishes such as those huge whiteheads. Minimizes Discoloration– People have experienced positive results with their discoloration, saying that, in the long run, this peel can minimize but not eliminate discoloration. Reduces Wrinkles and Fine Lines– While some users have seen quicker results with these signs of aging, which actually surprised them, others have mentioned that those changes are more of a long run. Also, few people have mentioned that the dry skin which sometimes appears because of aging can be eliminated. Useful for mild Psoriasis and Keratosis Pilaris– People having those issues have reported very positive results. 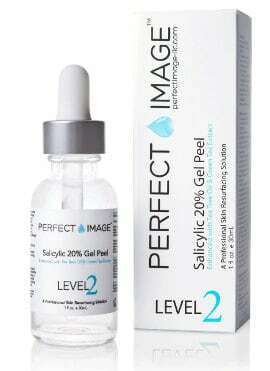 In conclusion, after reviewing the Perfect Image Salicylic Acid 20% Gel Peel, I can say that this seems like a quality effective product to use as long as you are cautious with its use.